What a delightful way to kick off a new year! 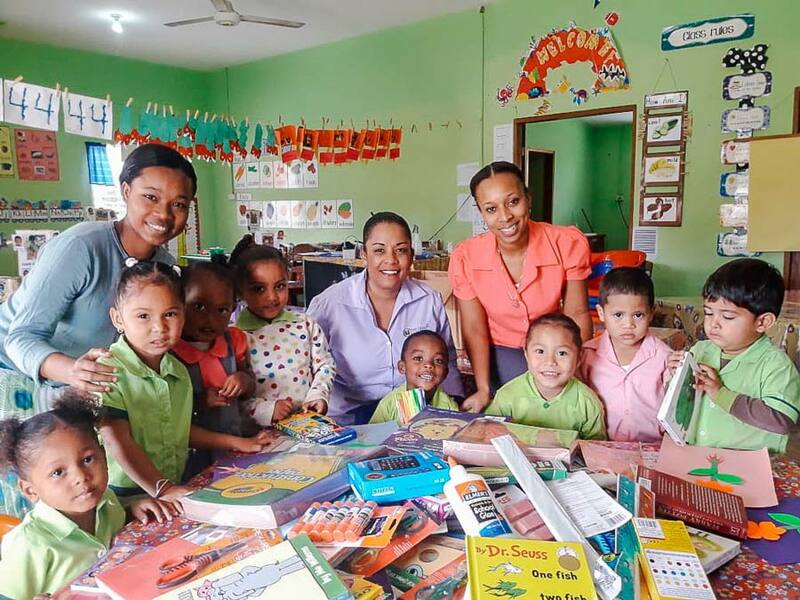 Although Chaa Creek’s “Pack-A-Pound” program has been bringing visitors and Belizeans closer together for years now, it still never fails to touch our hearts to see the combination of guests’ generosity and the sincere gratitude shown by the young students who benefit from it. For readers unfamiliar with the program, “Pack-A-Pound” encourages guests to add a pound or more of school supplies to their luggage, or post them before leaving or after arriving home. 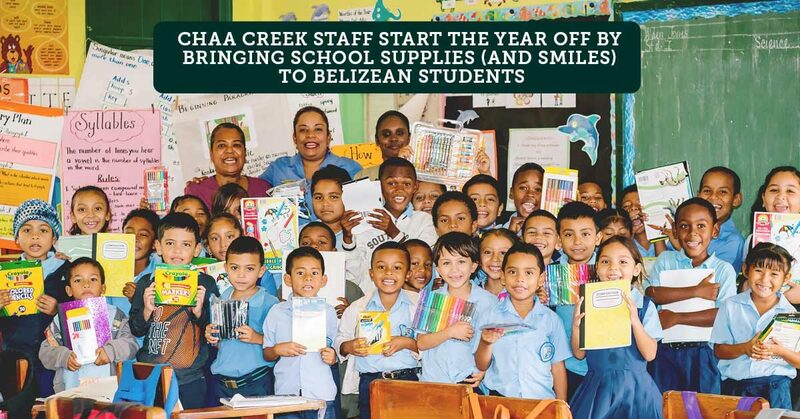 Chaa Creek’s SMILE Team then works with principals and educators to identify needs before distributing the guests’ donations to Belizean schools. 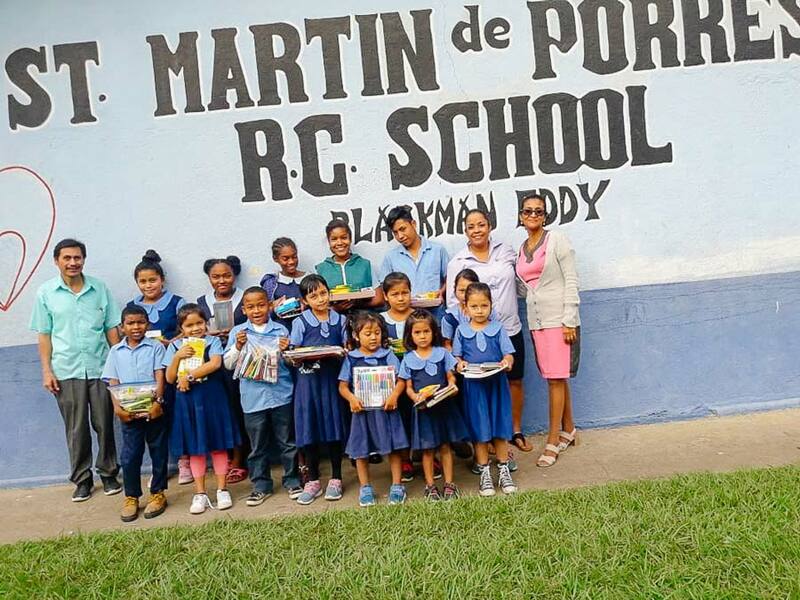 This year’s Pack-A-Pound kicked off on January 21, 2019, with the ever-exuberant Denise Duran and her merry band of volunteers visiting three rural schools – Immaculada Primary School in rural Arenal village, the Red Creek Pre-School, and St Martin De Porres Primary School in Blackman Eddy. Denise and her team, who, thanks to guests who donated some 125 pounds of school supplies during the last months of 2018, set off to three schools in some of Belize’s more rural communities with boxes filled with crayons, paper, pens, calculators, colouring and story books, glue, the works of Dr Seuss and other learning materials. To say they were warmly welcomed by the teachers and students is an understatement. 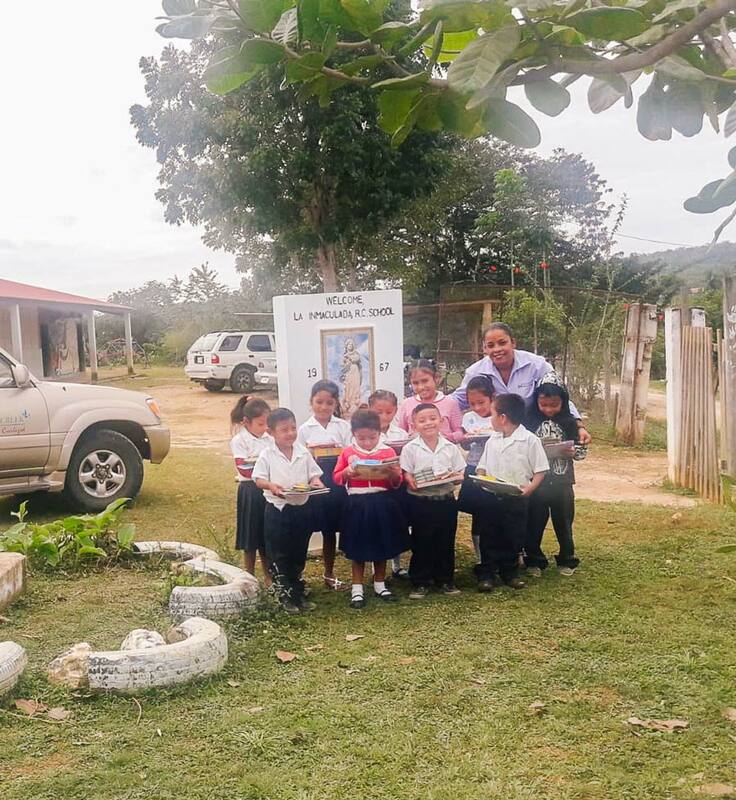 In these more remote farming communities, where education is highly valued but money can be hard to come by, a box of even basic school supplies can make a big difference. For some of these children, a colouring book and box of crayons opens up a whole world of creative possibilities. “Your visit today made a huge difference in our children’s lives,” one teacher said, and for Denise and the team, that’s what it’s all about. For Chaa Creek’s founding owners Mick and Lucy Fleming, Pack-a-Pound is just another example of sustainable tourism in action. “Bringing visitors and local people together in ways that support their communities, while at the same time making vacations richer and more rewarding, is one of the many benefits of sustainable tourism, and one of the reasons why so many of today’s travellers are embracing responsible travel. “As someone once said, doing good feels good, and that can be a very satisfying part of travel,” Lucy said. “And for all those families, couples and individuals who take part in Pack-a-Pound, we – on behalf of Chaa Creek and hundreds of young Belizean students – would like to offer a very sincere ‘thank you’,” she added.